17 Saint Marks consists of twenty-two modern walkup apartments located in the East Village. This Building has been completely renovated. It is located between Second and Third Avenue near all transportation, shops, night life and restaurants are all minutes away. True 2 bedrooms, 1 large master bedroom with French doors and a full sized bedroom on opposite ends. Closets, cozy living room and kitchen. Well maintained walk-up building filled with character and East Village Style! 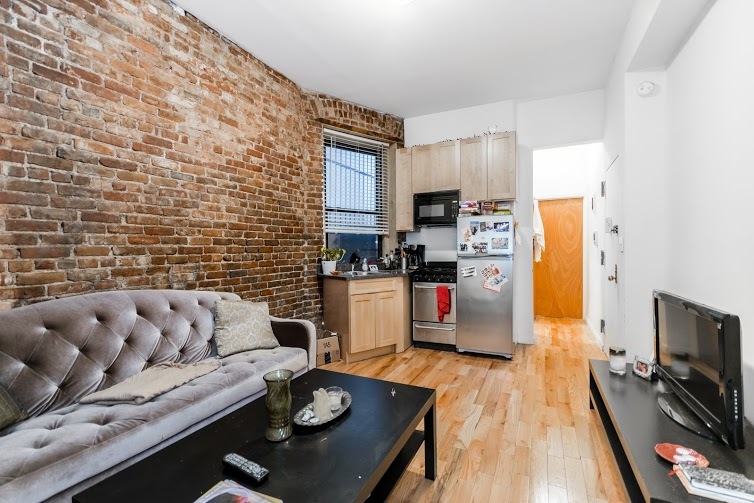 Newly renovated true 3 bedroom located on great Saint Marks, 1 block from Astor Place. Each room has a window and closets. Brand new hardwood floors, exposed brick, modern EIK with brand new appliances (including dishwasher and microwave) marble windowed bathroom.